Its model number and name are #022-024 / Dr. Mid-Nite. Character Bio - While trying to save a man's life, Doctor Charles McNider was blinded by a mob attack. 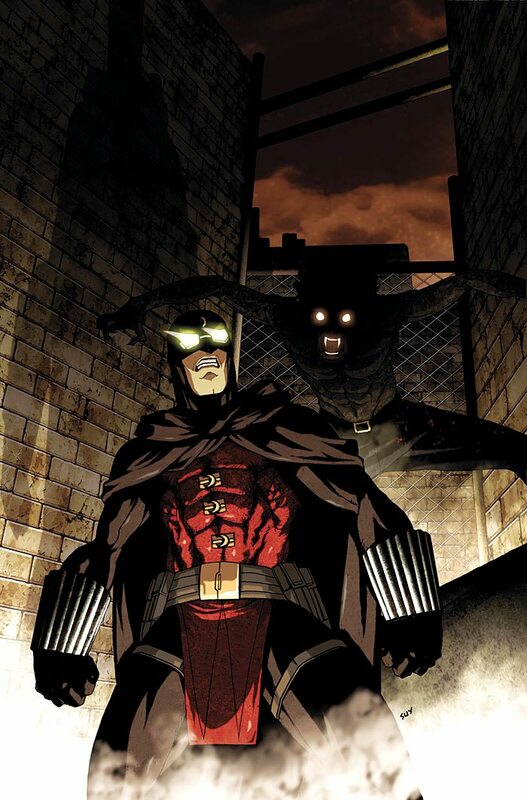 Now useless as a physician, McNider turned his energies toward fighting crime, though it was not until he discovered that he could see in the dark that he would create his alter-ego Doctor Mid-Nite. 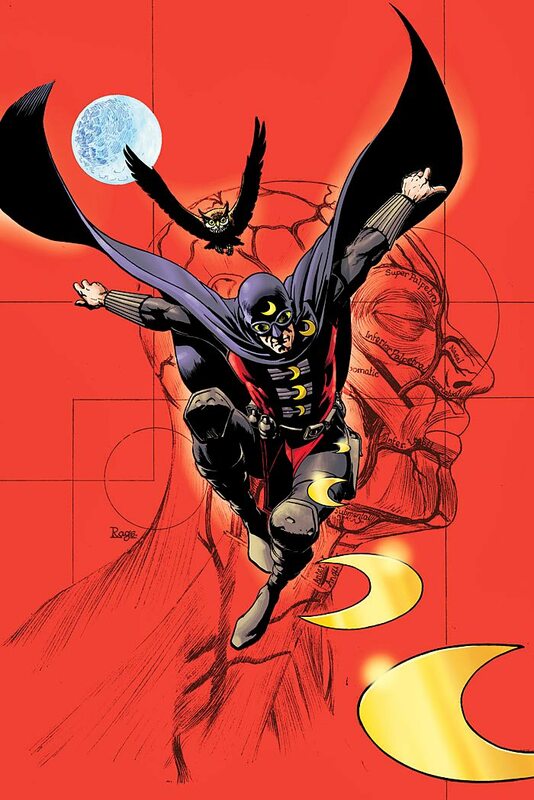 With a new costume, specially modified goggles, and his invention, the Blackout Bomb, Doctor Mid-Nite became one of the world's earliest and most honorable heroes. As a Metahuman, Doctor Mid-Nite has these Metahuman Synergies. As a Mystery Man, Doctor Mid-Nite has these Mystery Man Synergies. 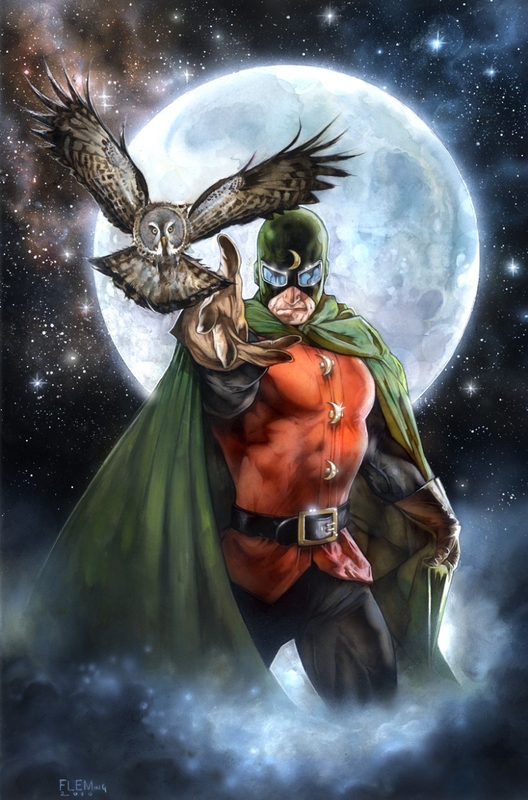 Doctor Mid-Nite can heal Human and Metahuman Unique Heroes with his Physician special power. Current Human and Metahuman Unique Heroes. Last edited by Ronin; October 30th, 2017 at 09:13 PM. Start the game with 3 Glyphs of Blackout Bomb on this card. At any point during his movement, Doctor Mid-Nite may place a Glyph of Blackout Bomb from this card power-side up onto an empty space within 5 clear sight spaces of Doctor Mid-Nite. After taking a turn with Doctor Mid-Nite, if he did not attack this turn, you may choose an adjacent Human or Metahuman Unique Hero, remove 1 Wound Marker from the chosen figure's Army Card and roll the 20-sided die. If you roll 16 or higher, remove an additional Wound Marker. When Doctor Mid-Nite attacks a figure on a Shadow Tile, the defending figure does not receive any additional defense dice for the Shadow Tile. 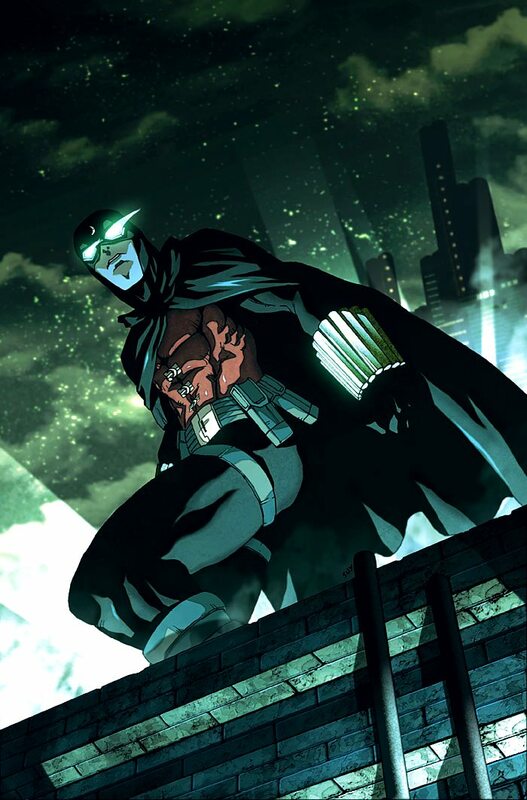 Doctor Mid-Nite cannot be targeted by non-adjacent figures for any special powers or attacks while on a Shadow Tile. Last edited by Zettian Juggernaut; March 12th, 2016 at 11:22 AM. McNider also used "blackout bombs", which would release pitch-black gas that blinded villains and allowed him to see. Once per round, after moving and before attacking, you may choose a space within 4 clear sight spaces of Doctor Mid-Nite. Until the next time you reveal a numbered order marker, the chosen space and all spaces within 2 spaces are considered to be Shadow Tiles. This would help him get more use out of Infrared Goggles. As it is, Goggles is very niche on him. It's niche enough already, but without range, the Jungle Piece bit is useless to him. I wonder if we shouldn't create a different twist on Infrared Goggles that's more focused on Shadow. Maybe give him an attack boost while on Shadow? I also think that Expert Physician should maybe only heal 1 wound. C3G has been very careful so far with healing figures. Even limited to Humans and Metahumans, EP could be a strong power. Last edited by TrollBrute; March 30th, 2014 at 10:28 AM. Glad to see your hero-ness. BLACKOUT BOMB as TB just suggested. After taking a turn with Doctor Mid-Nite, you may choose a Human or Metahuman Unique Hero figure adjacent to Doctor Mid-Nite and roll the 20-sided die. If you roll 9 or higher, remove up to 1 Wound Marker from the chosen figure's Army Card. Doctor Mid-Nite may not use Physician 8 if he used Blackout Bomb this turn. I didn't get the relationship between the Blackout Bomb's power & the actual theme so I much prefer TB's suggested power. And in turn I like your suggested Of the Night power to go with it. I didn't mind the healing 2 on a D20 roll that seemed balanced to me. Maybe you could heal 1 by default & roll the D20 to heal another but also make it instead of attacking. After moving and instead of attacking, choose a Human or Metahuman Unique Hero figure adjacent to Doctor Mid-Nite and remove 1 Wound Marker from the chosen figure's Army Card. You may roll the 20-sided die. If you roll 13 or higher, remove 1 additional Wound Marker from the chosen figure's Army Card. You may not use this special power if you used Blackout Bomb this turn. I like Expert Healing at 2 wounds and instead of attacking. I think that trade off will work fine. Any thoughts on adding a bonus to the die roll for Mystery Man to reflect his JSA synergy, or do you prefer he heal for everyone the same? I like TB's suggestion for Black Out Bomb, but it seems like too much for folks to remember what space you've chosen. I think with something like that you need something to place on the battlefield to mark it, whether a colored power marker, a glyph, or shadow tiles themselves (a marker might be the easiest). I kind of like the idea of just making it once per game with a permanent effect to avoid having to worry about language where you place the marker back, but I'm sure we can figure it out either way. Couldn't he just place Shadow Tiles? I think a couple of temporary glyphs would be best. It will cut down the language also & we wouldn't have to introduce the mechanics of having markers left on the battlefield. I like temporary glyphs. Maybe two that he can place once per game each (we just won't have a mechanic for picking them back up) and they're either removed from the game at the end of the round or stay on the battlefield depending on what power level we're after? That also lets us not worry about equipping things, etc., if they were equipment glyphs. So someone like Kang is our model then if we go this route. I should clarify that I don't think Exert Physician is necessarily too strong as is, just that it was something that would need to be carefully tested. I can get on board with "instead of attacking" though. The problem is that not many people have enough Shadow Tiles to cover 7-19 spaces and less than that doesn't feel much like a bomb. Start the game with 2 Glyphs of Blackout Bomb on this card. At any point during his movement, Doctor Mid-Nite may place a Glyph of Blackout Bomb from this card power-side up onto a space within 5 clear sight spaces of Doctor Mid-Nite. All figures within 1 space of this Glyph are considered to be on shadow spaces, even while this Glyph is unoccupied. At the end of the round, if the Glyph of Blackout Bomb is on the battlefield, remove it from the game. Though if it's for one round only, we should be able to expand the area of effect. Within 2 spaces? Within 3?